�����Catherine Huster married Franz Hartleb. Her married name was Hartleb. [S17] Death Record - Local, Dodge Co Death record v44 p184. [S92] Unknown record type, unknown repository address, Wisconsin, Dodge County, Lowell; page 8, SD# 1, ED# 20, Image 301C, Line 35; Ancestry.com image 18 Mar 2003. [S7] Death Record - Local: Pre-1907 Wisconsin Vital Records, Marriages, Dodge County, Vol 8, p. 1 through Vol 8 p. 345; Vol. 8, p. 229, Vol B, Image 1155/25. [S139] State Historical Society, Madison, WI, Wisconsin Pre-1907 Vital Records: Marriages Dodge County Vol 8 page 0229 Record No. 1537260; http://www.wisconsinhistory.org/vitalrecords/indes.asp... 15 Jan 2007. [S14] Twelfth Census of the United States, Wisconsin, Dodge County, City of Beaver Dam; SD #1; ED # 80; Sheet No. 6 (97); Line 93; Dwelling 114; Family 121; Ancestry.com image 5 Oct 2011. [S152] Unknown record type, unknown location, unknown record info, Dodge County, Beaver Dam, 2nd Ward, Line No. 10, Family No. 410; Wisconsin State Historical Library, Madison, Wisconsin. [S98] Unknown record type, unknown repository address, Wisconsin, Dodge County, Beaver Dam City, Ward 2, SD# 5, ED# 3, Sheet No. 2, Line No. 83, Dwelling No. 42, Family No. 46; Roll 1706, Book 1, Page 228; Genealogy.com image 01 Apr 2003. [S97] Unknown record type, unknown repository address, Wisconsin, Dodge County, Beaver Dam Township, Beaver Dam City, Ward 2, SD# 2, ED# 30 Sheet 10A, Line 18, Dwelling 200, Family # 212, Ancestry.com 05 May 2003. [S137] Unknown record type, unknown repository address, Wisconsin, Dodge County, Beaver Dam City, ED# 14-9, SD# 9, Sheet 12A, Image 111; Line 28, Dwelling 294, Family 300; Ancestry.com image 15 Mar 2003. �����Dorothea Marthaler (Dora)(Eudora) was born on 30 June 1862 at Dodge County, Wisconsin.1 She was the daughter of Mathias Marthaler and Emily Jane Howe. Dorothea Marthaler (Dora)(Eudora) appeared on the census of 31 August 1870 at Danville, Dodge County, Wisconsin; MARTHALER, Endora: Age 8, Female, White, At home, Born in Wisconsin, Father is foreign born, Attends school.2 She appeared on the census of 3 June 1880 at Lowell, Dodge County, Wisconsin; MARTHALER, Eudora; White, Female, Age 17, Daughter, Single, At School, Attended school during year, Born in Wisconsin, Father born in Germany, Mother born in Wisconsin.3 She married Peter Daniel, son of John Daniel and Margaret Schwann, on 20 October 1884 at St. Peter's, Beaver Dam, Dodge County, Wisconsin. As of 20 October 1884,her married name was Daniel (Marthaler). Dorothea Marthaler (Dora)(Eudora) witnessed the baptism of Walburga Dorothy Andorfer on 28 January 1894 at St. Peter, Beaver Dam, Dodge County, Wisconsin.4 Dorothea Marthaler (Dora)(Eudora) died in July 1942 at at her home at 602 South Spring Street, Beaver Dam, Dodge County, Wisconsin, at age 80.1 She was buried at St. Peter Cemetery, Beaver Dam, Dodge County, Wisconsin. [S2] Death - Obituary, Beaver Dam Argus; 16 Jul 1942, p. 1 researched at Public Libary, Beaver Dam, Wisconsin 6 Sep 2008. [S70] Unknown record type, unknown repository address, Wisconsin, Dodge County, Lowell, P. 59; Line 30; Roll 1711, Book 1, Page 402, MyFamily.com, Inc., 21 May 2003. [S92] Unknown record type, unknown repository address, Wisconsin, Dodge County, Lowell; page 8, SD# 1, ED# 20, Image 301C, Line 33; Ancestry.com image 18 Mar 2003. [S17] Death Record - Local, Wisconsin, Dodge County, Register of Deeds, Dodge County Courthouse, Juneau, WI; Deaths Vol. 59 #531 researched 02 May 2003. [S70] Unknown record type, unknown repository address, Wisconsin, Dodge County, Lowell, P. 59; Line 32; Roll 1711, Book 1, Page 402, MyFamily.com, Inc., 21 May 2003. [S92] Unknown record type, unknown repository address, Wisconsin, Dodge County, Lowell; page 8, SD# 1, ED# 20, Image 301C, Line 34; Ancestry.com image 18 Mar 2003. [S7] Death Record - Local: Pre-1907 Wisconsin Vital Records, Marriages, Dodge County, V.8, p. 149, Vol A, Image 710/141; Wisconsin Historical Library 04 Apr 2003. [S98] Unknown record type, unknown repository address, Wisconsin, Dodge County,Calamus Township; SD# 5, ED# 8, Sheet No. 6A; Image 311A; Line 39, Dwelling 184, Family 185; Ancestry.com image 28 May 2004. [S97] Unknown record type, unknown repository address, Wisconsin, Dodge County, Beaver Dam Township, Beaver Dam City, SD# 2nd Wis, ED# 33, Sheet 4A; Line 35, Dwelling 76, Family 76; Ancestry.com image 1002; 31 May 2004. [S137] Unknown record type, unknown repository address, Wisconsin, Dodge County, Beaver Dam 7th Ward, ED # 14-8, SD # 9, Sheet 12B, Image 714; Line 94, Dwelling 312, Family 324; Ancestry.com image 28 May 2004. �����Harriet L. Marthaler (Hattie) was born in June 1883 at Beaver Dam, Dodge County, Wisconsin. She was the daughter of Mathias Marthaler and Emily Jane Howe. Harriet L. Marthaler (Hattie) appeared on the census of 4 June 1900 at Center Street, Beaver Dam, Dodge County, Wisconsin; MARTHALER [MARSTRALER], Harriet: Daughter, White, Female, Born Jun 1883, Age 16, Single; Born in Wisconsin, Parents born in Wisconsin; Read, Write, Speak English - Yes.1 She married George E. Grace, son of Isaac Grace and Mary M. Lathrop, on 10 May 1905 at Beaver Dam, Dodge County, Wisconsin.2 As of 10 May 1905,her married name was Grace. Harriet L. Marthaler (Hattie) appeared on the census of 1 June 1905 at Beaver Dam, 1st Ward, Dodge County, Wisconsin; GRACE, Hattie: Wife, White, Female, Age 22, Married, Born in Wisconsin, Parents born in Wisconsin. As of 19 May 1934,her married name was Linde. [S14] Twelfth Census of the United States, Dodge County, Beaver Dam, Roll T623 1784, SD # 1, ED # 80, Sheet No. 7A / 21A, Line 4, Dwelling 116, Family 113; Ancestry.com image 06 Nov 2008 and 10 Oct 2011. [S139] State Historical Society, Madison, WI, Wisconsin Pre-1907 Vital Records: Marriages Dodge County Vol 09 page 312 or 314 Record No. 1387115; http://www.wisconsinhistory.org/vitalrecords/indes.asp... 15 Jan 2007. [S92] Unknown record type, unknown repository address, Wisconsin, Dodge County, Lowell; page 8, SD# 1, ED# 20, Image 301C, Line 36; Ancestry.com image 18 Mar 2003. [S7] Wisconsin Pre-1907 Vital Records: Pre-1907 Wisconsin Vital Records, Marriages, Dodge County, V.8, p. 149, Vol A, Image 710/141; Wisconsin Historical Library 04 Apr 2003. [S14] Twelfth Census of the United States, Dodge County, Beaver Dam, Roll T623 1784, SD # 1, ED # 80, Sheet No. 7A / 21A, Line 2, Dwelling 116, Family 113; Ancestry.com image 06 Nov 2008. [S98] Unknown record type, unknown repository address, Wisconsin, Dodge County, Beaver Dam City, 4th Ward, SD# 5, ED# 5, Sheet 9A, Page 272, Line 20; Dwelling 200, Family 209, House No. 411; Ancestry.com image 28 May 2004. [S139] State Historical Society, Madison, WI, Wisconsin Pre-1907 Vital Records: Marriages Dodge County Vol 09 page 0311 Record No. 1537255; http://www.wisconsinhistory.org/vitalrecords/indes.asp... 15 Jan 2007. [S152] Unknown record type, unknown location, unknown record info, Dodge County, Beaver Dam; Sheet No. 41, Line 28, Dwelling 894; Ancestry.com image 05 Nov 2008. [S143] Unknown subject, WW1 Draft Registration, Wisconsin, Taylor County, Medford; Service No. 11?2; Order No.1013; Registrar's Report ? ?-05-28C; Ancestry.com image 05 Nov 2008. [S97] Unknown record type, unknown repository address, Wisconsin, Taylor County, Goodrich Township, SD# 10, ED# 202, Sheet 2B; Line 97, Dwelling 38, Family 40; Ancestry.com image 0034; 31 May 2004. [S79] Paul Volppe, "Wisconsin Pre-1907 Vital Records," e-mail to Mildred Andorfer, January, 2000, from Raymond McCOOL 07 Nov 2008. [S98] Unknown record type, unknown repository address, Wisconsin, Dodge County, Beaver Dam City, 4th Ward, SD# 5, ED# 5, Sheet 9A, Page 272, Line 22; Dwelling 200, Family 209, House No. 411; Ancestry.com image 28 May 2004. [S97] Unknown record type, unknown repository address, Wisconsin, Taylor County, Goodrich Township, SD# 10, ED# 202, Sheet 2B; Line 100, Dwelling 38, Family 40; Ancestry.com image 0034; 31 May 2004. �����Fredrich E. Marthaler was born in September 1881 at Beaver Dam, Dodge County, Wisconsin. He was the son of Mathias Marthaler and Emily Jane Howe. Fredrich E. Marthaler appeared on the census of 4 June 1900 at Center Street, Beaver Dam, Dodge County, Wisconsin; MARTHALER [MARSTRALER], Fredrick [Fredick]: Son, White, Male, Born Sept 1881, Age 18, Single; Born in Wisconsin, Parents born in Wisconsin; Occupation - Moulder (Iron); Read, Write, Speak English = Yes.1 He was Moulding iron. Fredrich E. Marthaler was also known as Fred Marthaler.2 He married Hulda Cassebaum, daughter of Theodore Cassebaum and Annie (? ), on 6 March 1904 at Milwaukee, Milwaukee County, Wisconsin.2 Fredrich E. Marthaler appeared on the census of 1 June 1905 at Beaver Dam, Dodge County, Wisconsin; MARTHALER, Fred: Wife, White, Female, Age 24, Married; Born in Wisconsin, Parents born in New York; Occupation - Moulder 12 Months; Rents home.3 He appeared on the census of 26 April 1910 at 133 Vermont Street, Beaver Dam, Dodge County, Wisconsin; MARTHALER, Fred: Head, Male, White, Age 28, Marriage#1 for 6 years, Born in Wisconsin, Father born in Germany, Mother born in Wisconsin, Speaks English, Occupation - Harness maker (Retail Shop), Can read and write, Owns home (Mortgage).4 He was WW 1 MARTHALER, Frederick: Age 37, Born 9 Sep 1881, Farming, Skanawan, Lincoln, Wis; Nearest Relative: Hilda Marthaler on 12 September 1918 at Lincoln County, Wisconsin.5 He appeared on the census of 6 February 1920 at Birch, Lincoln County, Wisconsin; MARTHALER, Fred A.: Head, Owns with mortgage, Male, White, Age 38, Married; Read and Write=Yes; Born in Wisconsin, Father born in Germany, Mother born in Illinois; Occupation - Farmer (Own Farm).6 He appeared on the census of 14 April 1930 at Charlton, Beaver Dam, Dodge County, Wisconsin; MARTHALER, Frederick E.: Head, Rents $10.00, Radio=blank, Farm=No; Male, White, Age 49, Married at age 22, School=No, Read and Write=Yes; Born in Wisconsin, Father born in Germany, Mother born in United States, Occupation - Laborer (Stove Factory); Veteran=No.7 His Social Security Number was SS # 710-05-5461 issued through Railroad Board before 1951.8 He died on 3 December 1967 at Juneau, Dodge County, Wisconsin, at age 86; MARTHALER, Fred [SS # 710-05-5461] Born 9 Sep 1881, Died Dec 1967 SSN issued by Railroad Board Before 1951.8 He was buried at Beaver Dam City Cemetery, Beaver Dam, Dodge County, Wisconsin; on plot with his brother, Albert M. MARTHALER. [S14] Twelfth Census of the United States, Dodge County, Beaver Dam, Roll T623 1784, SD # 1, ED # 80, Sheet No. 7A / 21A, Line 3, Dwelling 116, Family 113; Ancestry.com image 06 Nov 2008. [S139] State Historical Society, Madison, WI, Wisconsin Pre-1907 Vital Records: Marriages Milwaukee County Vol 35 page 0438 Record No. 1537256; http://www.wisconsinhistory.org/vitalrecords/indes.asp... 15 Jan 2007. [S152] Unknown record type, unknown location, unknown record info, Dodge County, Beaver Dam; Sheet No. 41, Line 30, Dwelling 894; Ancestry.com image 05 Nov 2008. [S98] Unknown record type, unknown repository address, Wisconsin, Dodge County, Beaver Dam City, SD# 4 ED# 4. Sheet No. 12B, Line No. 75, Dwelling No. 252, Family No. 252; Ancestry.com image; 28 May 2004. [S143] Unknown subject, WW1 Draft Registration, Wisconsin, Lincoln County, Service No. 1861; Order No. 806; Registrar's Report 46-5-11C; Ancestry.com image 05 Nov 2008. [S97] Unknown record type, unknown repository address, Wisconsin, Lincoln County, Birch Township, SD# 10, ED# 104, Sheet 2A; Line 31, Dwelling 30, Family 31; Ancestry.com image 0713; 31 May 2004. [S137] Unknown record type, unknown repository address, Wisconsin, Dodge County, Beaver Dam 7th Ward, ED # 14-8, SD # 9, Sheet 15B, Image 720; Line 63, Dwelling 388, Family 401; Ancestry.com image 28 May 2004. [S45] Unknown volume, SSDI: Ancestry.com image 06 Nov 2008, unknown repository. 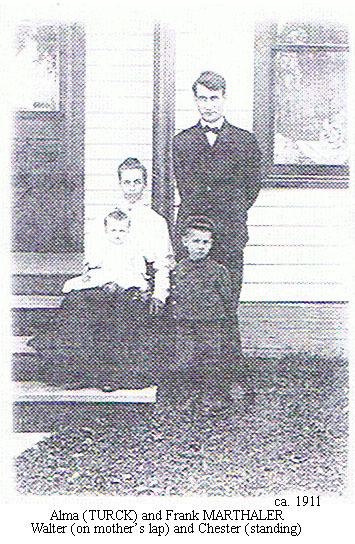 children; Born in Wiscinsin, Father born in Germany, Mother born in Wisconsin; Able to read, write and speak English.1 She appeared on the census of 1 June 1905 at Westboro, Taylor County, Wisconsin; BROWER, Effie: Wife; White; Female; Age 41; Married; Born in Wisconsin; Parents born in Germany.4 She appeared on the census of 18 April 1910 at Maple Street, Mellen, Ashland County, Wisconsin; BROWER, Effie: Wife; Female; White; Age 46; Married 1 for 23 years; 5 Children, 4 living children; Born in Wisconsin; Father born in Germany, Mother born in Wisconsin; Speaks English; Occupation - None; Read and write = Yes.5 She appeared on the census of 3 January 1920 at 126 ---, Beaver Dam, Dodge County, Wisconsin; BROWER, Effie: Wife; Female; White; Age 65; Married; School = No, Read and Write - Yes; Born in Wisconsin, Father born in Germany, Mother born in Wisconsin; U.S. citizen - Yes; Occupation - None.6 She appeared on the census of 22 April 1930 at Beaver Dam, Dodge County, Wisconsin; BROWER, Effie M.: Mother-in-law; Female, White, Age 65; Widow; Married at age 23; Attended school during year = No; Read and write = Yes; Born in Wisconsin, Father born in Germany, Mother born in Wisconsin; Occupation - None.7 She died in 1936. She was buried at Oakwood Cemetery, Dodge County, Wisconsin. [S14] Twelfth Census of the United States, Wisconsin, Dodge County, City of Beaver Dam, SD# 1, ED# 81, Sheet 1B, Line 57, Dwelling 12, Family 12; Ancestry.com image 13 Feb 2004. [S70] Unknown record type, unknown repository address, Wisconsin, Dodge County, Lowell, P. 59; Line 31; Roll 1711, Book 1, Page 402, MyFamily.com, Inc., 21 May 2003. [S7] Wisconsin Pre-1907 Vital Records: Pre-1907 Wisconsin Vital Records, Marriages, Dodge County, V.7, p. 284, Vol 7, Image 1941/261; Wisconsin Historical Library 04 Apr 2003. [S152] Unknown record type, unknown location, unknown record info, Taylor County, Westboro; Roll: CSUSAWI 1905_29; Image 252; Line 97; Family 39; Ancestry.com image researched 29 July 2009. [S98] Unknown record type, unknown repository address, Wisconsin; Ashland County; Mellen Ward 1; Roll: T624_1700; Page: 4A; ED # 17; Image: 1030; Line 14; Dwelling 52; Family 55; Ancestry.com image researched 30 July 2009. [S97] Unknown record type, unknown repository address, Wisconsin, Dodge County, Beaver Dam Township, Beaver Dam City, Ward 1; SD# 2nd Wis, ED# 29, Sheet 2B; Line 2, Dwelling 37, Family 40; Ancestry.com image 15 Feb 2004. [S137] Unknown record type, unknown repository address, Wisconsin, Dodge County, Beaver Dam; Roll: 2568; Page: 13B; ED # 9; Image: 750.0; Line 73; Ancestry.com image researched 29 July 2009. ANDORFER--At his home in the First ward at 6 A.M. June 9, 1894, MICHAEL ANDORFER, aged 64 years, 9 months and 90 days. [S153] Dr. Paul Mai and Archivdirektor, "Regensburg Research Letter", Research Letter from Bischofliches Zentralarchiv Regensburg; Dr. Paul Mai, Archiv Direktor. [S208] St. Petersweg 11-13, Regensburg Catholic Archives: Fiche No. 31, Band 3/2; Seite 9; Researched 16 June 2008. [S153] Dr. Paul Mai and Archivdirektor, "Regensburg Research Letter", Pfelling Bd. 5 S. 137 FN 60; Research Letter from Bischofliches Zentralarchiv Regensburg; Dr. Paul Mai, Archiv Direktor. [S92] Unknown record type, unknown repository address, Wisconsin, Dodge County, 1 Ward City of Beaver Dam; Page 9, SD# 1 ED# 3, Page 34A, Line 4, Dwelling No. 76, Family No. 83; Ancestry.com 18 Mar 2003. [S2] Death - Obituary, Beaver Dam Argus 14 Jun 1894. [S208] St. Petersweg 11-13, Regensburg Catholic Archives: Fiche No.34, I Band 3/5; Seite 40/80; Researched 16 June 2008. [S208] St. Petersweg 11-13, Regensburg Catholic Archives: Fiche No.35, I Band 3/6; Seite 50/100; Researched 16 June 2008. [S208] St. Petersweg 11-13, Regensburg Catholic Archives: Fiche No.35, I Band 3/6; Seite 54/108; Researched 16 June 2008. [S153] Dr. Paul Mai and Archivdirektor, "Regensburg Research Letter", Berndorf Bd. 4 S. 49 FN 72; Research Letter from Bischofliches Zentralarchiv Regensburg; Dr. Paul Mai, Archiv Direktor. [S1] Unknown compiler address, Birth Record: of her son, Johan Evangelista ARNDORFER; researched in Regensburg, Germany June, 2008. [S208] St. Petersweg 11-13, Regensburg Catholic Archives: Fiche No.34, I Band 3/5; Seite 37/74; Researched 16 June 2008. [S92] Unknown record type, unknown repository address, Wisconsin, Dodge County, 1 Ward City of Beaver Dam; Page 9, SD# 1 ED# 3, Page 34A, Line 6, Dwelling No. 76, Family No. 83; Ancestry.com 18 Mar 2003. [S137] Unknown record type, unknown repository address, Wisconsin, Milwaukee County, Milwaukee City, 19th Ward, Block No. 2269, ED# 40-233, SD# 10, Sheet 20A, Image 165, Line 1, Dwelling No. 1, Family No. 1; Ancestry.com image 15 Mar 2003. [S208] St. Petersweg 11-13, Regensburg Catholic Archives: Fiche No.35, I Band 3/6; Seite 47/94; Researched 16 June 2008. [S92] Unknown record type, unknown repository address, Wisconsin, Dodge County, 1 Ward City of Beaver Dam; Page 9, SD# 1 ED# 3, Page 34A, Line 7, Dwelling No. 76, Family No. 83; Ancestry.com 18 Mar 2003. [S7] Birth Record: Wisconsin, Dodge County Courthouse, Register of Deeds, Juneau, Wisconsin; Marriages Vol 2 #494. [S104] Unknown record type, unknown location, unknown record info, Dodge County, City of Beaver Dam. [S14] Twelfth Census of the United States, Wisconsin, Milwaukee County, Milwaukee; SD # 259; ED # 109; Sheet No. 6A ; Line 38; Dwelling 102; Family 119; Ancestry.com image 5 Oct 2011. [S97] Unknown record type, unknown repository address, Wisconsin, Milwaukee County, Milwaukee City; ED # 59, SD # 4, Sheet No. 9A, Line 14, Dwelling 157, Family 200, Ancestry.com image 15 Mar 2003. [S137] Unknown record type, unknown repository address, Wisconsin, Milwaukee County, Milwaukee City, 21st Ward, Block No. 3479, ED# 40-271, SD# 10, Sheet 4B, Line 52, Dwelling No. 9, Family No. 15; Ancestry.com image 15 Mar 2003. [S97] Unknown record type, unknown repository address, Milwaukee, Milwaukee County, Wisconsin; ED 59, SD 9, p. 247, Line 14. �����Catharina Andorfer (Arndorfer)(Katie) was born in October 1862 at Pfelling, Bavaria, Germany.1 She was baptized on 17 June 1865 at Pfelling, Bavaria, Germany.2 She was the daughter of Michael Arndorfer and Theres Bielmeier (Billmeyer). Catharina Andorfer (Arndorfer)(Katie) appeared on the census of 3 June 1880 at 1st Ward, Beaver Dam, Dodge County, Wisconsin; ARNDORFER, Catharin; White, Female, Age 16, Daughter, Single, Works in Wollin f, Born in Bavaria, Both parents born in Bavaria.3 Catharina Andorfer (Arndorfer)(Katie) was also known as Catherine Andorfer.4 She married Thomas James Corbett, son of James Corbett and Julia (?) Corbett, on 22 May 1883 at St. Patricks Catholic Church, Beaver Dam, Dodge County, Wisconsin; Witnesses of the marriage were David Horigan and M. Andorfer.5,4 As of 22 May 1883,her married name was Corbett (Andorfer). Catharina Andorfer (Arndorfer)(Katie) died on 9 January 1895 at Beaver Dam, Dodge County, Wisconsin, at age 29; at the age of 30 yrs 3mos of sudden death.1 She was buried after 9 January 1895 at St. Peter's Cemetery, Beaver Dam, Dodge Co., Wisconsin. [S17] Death Record - Local, Wisconsin, Dodge County Register of Deeds, Dodge County Courthouse, Juneau, Wisconsin; Deaths Vol 2; researched 28 Jan 1994. [S208] St. Petersweg 11-13, Regensburg Catholic Archives: Fiche No.36, I Band 3/7; Seite 56/112; Researched 16 June 2008. [S92] Unknown record type, unknown repository address, Wisconsin, Dodge County, 1 Ward City of Beaver Dam; Page 9, SD# 1 ED# 3, Page 34A, Line 8, Dwelling No. 76, Family No. 83; Ancestry.com 18 Mar 2003. [S139] State Historical Society, Madison, WI, Wisconsin Pre-1907 Vital Records: Marriages Dodge County Vol 07 page 0075 Record No. 1878227; http://www.wisconsinhistory.org/vitalrecords/indes.asp... 15 Jan 2007. [S7] Wisconsin Pre-1907 Vital Records: Wisconsin, Dodge County, Register of Deeds, Dodge County Courthouse, Juneau, WI; Marriages Vol 3 # 466; researched 02 May 2003. [S182] Unknown first party v. Unknown second party, unknown record info: Death Notice; The Beaver Dam Argus; Vol. XXIV, No. 10, Thursday, January 10, 1884; page 3, Col 5; researched at Beaver Dam Public Library 11 Sept 2008, unknown repository. [S75] Unknown author, "E-mail," e-mail to unknown recipient, from Dan Kangley Sioux Falls SD; 14 Aug 2007. [S2] Death - Obituary, "Deutsche Pionier", Mayville, WI; 11 Nov 1886. [S17] Death Record - Local, Wisconsin, Dodge County Register of Deeds, Dodge County Courthouse, Juneau, Wisconsin; Deaths Vol 7 #304; researched 28 Jan 1994. [S92] Unknown record type, unknown repository address, Wisconsin, Dodge County, 1 Ward City of Beaver Dam; Page 9, SD# 1 ED# 3, Page 34A, Line 9, Dwelling No. 76, Family No. 83; Ancestry.com 18 Mar 2003. [S208] St. Petersweg 11-13, Regensburg Catholic Archives: Fiche No. 36, Band 3/7; Seite 58/M7; Researched 16 June 2008. [S92] Unknown record type, unknown repository address, Wisconsin, Dodge County, 1 Ward City of Beaver Dam; Page 9, SD# 1 ED# 3, Page 34A, Line 10, Dwelling No. 76, Family No. 83; Ancestry.com 18 Mar 2003. [S14] Twelfth Census of the United States, Wisconsin, Milwaukee County, City of Milwaukee, 2nd Ward, SD# 4, ED# 1, Sheet No. 7A, Roll 1800, Book1, Page 295, Line 27; Genealogy.com image 04 May 2003. [S152] Unknown record type, unknown location, unknown record info, Milwaukee County, 1st precinct, 2nd Ward, City of Milwaukee; Image 6410; Line 15; researched Ancestry.com image 05 Sep 2007. [S137] Unknown record type, unknown repository address, Wisconsin, Milwaukee County, City of Milwaukee, 19th Ward, Block 2315; ED # 40-229, SD # 10, Sheet 9A, Image 6241; Dwelling 36, Family 60, 548; Line 16; researched 05 Sep 2007 Ancestry.com image. [S2] Death - Obituary, Milwaukee newspaper. [S208] St. Petersweg 11-13, Regensburg Catholic Archives: Fiche No.36, I Band 3/7; Seite 59/118; Researched 16 June 2008. [S92] Unknown record type, unknown repository address, Wisconsin, Dodge County, 1 Ward City of Beaver Dam; Page 9, SD# 1 ED# 3, Page 34A, Line 11, Dwelling No. 76, Family No. 83; Ancestry.com 18 Mar 2003. [S139] State Historical Society, Madison, WI, Wisconsin Pre-1907 Vital Records: Births Reel No. 96B; Reel 173 - 01258; No. 4491; researched at Wisconsin Historical Library, Madison, WI 25 Feb 2004 [Birth record of daughter, Henrietta; Item 7 Full name of mother previous to marriage]. [S139] State Historical Society, Madison, WI, Wisconsin Pre-1907 Vital Records: Film # 99B, Milwaukee County Births Vol. 179, No. 1332 [Birth record of son, Roman]. [S139] State Historical Society, Madison, WI, Wisconsin Pre-1907 Vital Records: Film # 104B, Milwaukee County Births Vol. 189, Nos. 2560 and 2561. [S14] Twelfth Census of the United States, Wisconsin, Milwaukee County, Milwaukee City, Ward 21; SD# 294, ED# 191; Shee No. 17B; Line 99, Dwelling 310, Family 353; Genealogy.com 15 Feb 2004. [S139] State Historical Society, Madison, WI, Wisconsin Pre-1907 Vital Records: Film # 104B, Milwaukee County Births Vol. 189, No. 2561. [S208] St. Petersweg 11-13, Regensburg Catholic Archives: Fiche No. 36, Band 3; Seite 61; Researched 16 June 2008. [S92] Unknown record type, unknown repository address, Wisconsin, Dodge County, 1 Ward City of Beaver Dam; Page 9, SD# 1 ED# 3, Page 34A, Line 12, Dwelling No. 76, Family No. 83; Ancestry.com 18 Mar 2003. [S7] Wisconsin Pre-1907 Vital Records: Pre-1907 Wisconsin Vital Records, Marriages, Dodge County, Vol 8, p. 1 through Vol 8 p. 345; Vol. 8, p. 229, Vol B, Image 1155/25. [S151] Unknown record type, unknown location, unknown record info, Dodge County, Beaver Dam, 1st Ward. [S14] Twelfth Census of the United States, Wisconsin, Dodge County, City of Beaver Dam; SD #1; ED # 80; Sheet No. 6 (97); Line 92; Dwelling 114; Family 121; Ancestry.com image 5 Oct 2011. [S152] Unknown record type, unknown location, unknown record info, Dodge County, Beaver Dam, 2nd Ward, Line No. 9, Family No. 410; Wisconsin State Historical Library, Madison, Wisconsin. [S98] Unknown record type, unknown repository address, Wisconsin, Dodge County, Beaver Dam City, Ward 2, SD# 5, ED# 3, Sheet No. 2, Line No. 82, Dwelling No. 42, Family No. 46; Roll 1706, Book 1, Page 228; Genealogy.com image 01 Apr 2003. [S97] Unknown record type, unknown repository address, Wisconsin, Dodge County, Beaver Dam Township, Beaver Dam City, Ward 2, SD# 2, ED# 30 Sheet 10A, Line 17; Ancestry.com 05 May 2003. [S137] Unknown record type, unknown repository address, Wisconsin, Dodge County, Beaver Dam City, ED# 14-9, SD# 9, Sheet 12A,Image 111; Line 27, Dwelling 294, Family 300; Ancestry.com image 15 Mar 2003. [S17] Death Record - Local, Dodge Co Death record v48 p339. [S17] Death Record - Local, Dodge County Courthouse, Vol 4. [S2] Death - Obituary, Beaver Dam Citizen, Monday, 24 Sep 1951. [S2] Death - Obituary, Dodge Co. Death Record v48 p339. [S14] Twelfth Census of the United States, Wisconsin, Dodge County, City of Beaver Dam; SD #1; ED # 80; Sheet No. 6 (97); Line 94; Dwelling 114; Family 121; Ancestry.com image 5 Oct 2011. [S152] Unknown record type, unknown location, unknown record info, Dodge County, Beaver Dam, 2nd Ward, Line No. 11, Family No. 410; Wisconsin State Historical Library, Madison, Wisconsin. [S98] Unknown record type, unknown repository address, Wisconsin, Dodge County, Beaver Dam City, Ward 2, SD# 5, ED# 3, Sheet No. 2, Line No. 84, Dwelling No. 42, Family No. 46; Roll 1706, Book 1, Page 228; Genealogy.com image 01 Apr 2003. [S7] Baptism Record: Wisconsin, Dodge County, Register of Deeds, Dodge County Courthouse, Juneau, WI; Marriages Vol 11 # 167; researched 02 May 2003. [S97] Unknown record type, unknown repository address, Wisconsin, Dodge County, Beaver Dam City, Ward 4, SD# 2, ED# 32, Sheet 6B, Line 88, Dwelling 132, Family 140; Ancestry.com image 01 May 2003. [S17] Death Record - Local, Vol. 82, page 62; Register of Deeds, Dodge County Courthouse, Juneau, WI; 30 Apr 2003. �����William Lester McCool was born on 3 December 1888 at LaCrosse, LaCrosse County, Wisconsin.1 He was the son of Albert McCool and Mary Kile. William Lester McCool appeared on the census of 12 June 1900 at 817 S 11th Street, LaCrosse, LaCrosse County, Wisconsin; McCOOL, Willie: Son, White, Male, Dec 1888, Age 11, Single, Born in Wisconsin, Father born in Pennsylvania, Mother born in Wisconsin, Can read and write and speaks english.2 He appeared on the census of 23 April 1910 at 1030 Mississippi Street, LaCrosse, LaCrosse County, Wisconsin; McCOOL, William: Son, Male, White, Age 21, Single, Born in Wisconsin, Father born in Pennsylvania, Mother born in Wisconsin, Speaks English, Occupation - Machinist (Clothing Co.) Can read and write.3 He Baptism Sp: Abraham Beucus. He Convert. He was baptized on 18 June 1916 at St. Peter's, Beaver Dam, Dodge County, Wisconsin. He married Walburga Dorothy Andorfer, daughter of John Evangelista Arndorfer and Permilla Theresa Marthaler, on 19 June 1916 at St. Peter's Catholic Church, Beaver Dam, Dodge County, Wisconsin; Marriage License No. 517 issued 06 Jun 1916.4 William Lester McCool appeared on the census of 8 January 1920 at 123 Mary St., Beaver Dam, Dodge County, Wisconsin; McCOOL, William L.: Head, Rents, Male, White, Age 31, Married, Can read and write, Born in Wisconsin, Both parents born in Wisconsin (sic), Occupation - Foreman (Coverall Factory).5 He was buried at St. Patrick's Cemetery, Beaver Dam, Dodge County, Wisconsin. He died on 7 August 1966 at Hartford, Wisconsin, at age 77. [S139] State Historical Society, Madison, WI, Wisconsin Pre-1907 Vital Records: LaCrosse County Births, Film 56B, Reel 102, p. 115, Record #2036/686; Wisconsin Historical Library 04/29/2003. [S14] Twelfth Census of the United States, Wisconsin, LaCrosse County, LaCrosse (city) Ward 17; SD#297, ED# 14, Sheet 17A, image 126, Line 22, Dwelling 228, Family No. 314; Ancestry.com image 01 May 2003. [S98] Unknown record type, unknown repository address, Wisconsin, LaCrosse County, LaCrosse City, Ward 17, Roll 1716, Book 1, Page 257, SD# 6, ED# 114, Sheet No. 10B, Line 54, Dwelling 323, Family 254; Ancestry.com Image. [S7] Wisconsin Pre-1907 Vital Records: Wisconsin, Dodge County, Register of Deeds, Dodge County Courthouse, Juneau, WI; Marriages Vol 11 # 167; researched 02 May 2003. [S97] Unknown record type, unknown repository address, Wisconsin, Dodge County, Beaver Dam City, Ward 4, SD# 2, ED# 32, Sheet 6B, Line 87, Dwelling 132, Family 140; Ancestry.com image 01 May 2003. �����Clara Theresa Andorfer was born on 3 April 1896 at Beaver Dam, Dodge County, Wisconsin.1 She was the daughter of John Evangelista Arndorfer and Permilla Theresa Marthaler. Clara Theresa Andorfer was baptized on 12 April 1896 at St. Peter, Beaver Dam, Dodge County, Wisconsin. She Baptism Sp: George & Theresa Geschel on 12 April 1896. She appeared on the census of 6 June 1900 at Center Street, Beaver Dam, Dodge County, Wisconsin; ANDORFER, Clara: Daughter; White; Female; BornApr. 1896; Age 4; Single; Born in Wisconsin; Father born in Germany; Mother born in Wisconsin.2 She appeared on the census of 1 June 1905 at 2nd Ward, Beaver Dam, Dodge County, Wisconsin; ANDOFER, Clara: Daughter, White, Female, Age 9, Single, Born in Wisconsin, Father born in Germany, Mother born in Wisconsin.3 She appeared on the census of 15 April 1910 at 218 Washington Street, Beaver Dam, Dodge County, Wisconsin; ANDOVER, Clara: Daughter, Female, White, Age 14, Single, Born in Wisconsin, Father born in Germany, Mother born in Wisconsin, English speaking, Occupation - None, Can read and write, Attended school.4 She appeared on the census of 7 January 1920 at 217 Henry Street, Beaver Dam, Dodge County, Wisconsin; ANDOVER, Clara: Daughter, Female, White, Age 23, Single, Can read and write, Born in Wisconisn, Father born in Bavaria (German), Mother born in Wisconsin, Occupation - Looper (Knitting Factory).5 She married Alvin Goeggerle on 4 June 1923.6 As of 4 June 1923,her married name was Goeggerle (Andorfer). Clara Theresa Andorfer died on 4 May 1970 at Beaver Dam, Dodge County, Wisconsin, at age 74. She was buried after 4 May 1970 at St. Peter's Cemetery, Beaver Dam, Dodge County, Wisconsin. [S5] Unknown subject entry, unknown record type, Vol. C, page 133; Register of Deeds, Dodge County Courthouse, Juneau, WI; 30 Apr 2003. [S14] Twelfth Census of the United States, Wisconsin, Dodge County, City of Beaver Dam; SD #1; ED # 80; Sheet No. 6 (97); Line 95; Dwelling 114; Family 121; Ancestry.com image 5 Oct 2011. [S152] Unknown record type, unknown location, unknown record info, Dodge County, Beaver Dam, 2nd Ward, Line No. 12, Family No. 410; Wisconsin State Historical Library, Madison, Wisconsin. [S98] Unknown record type, unknown repository address, Wisconsin, Dodge County, Beaver Dam City, Ward 2, SD# 5, ED# 3, Sheet No. 2, Line No. 85, Dwelling No. 42, Family No. 46; Roll 1706, Book 1, Page 228; Genealogy.com image 01 Apr 2003. [S97] Unknown record type, unknown repository address, Wisconsin, Dodge County, Beaver Dam Township, Beaver Dam City, Ward 2, SD# 2, ED# 30 Sheet 10A, Line 19, Dwelling 200, Family # 212, Ancestry.com 05 May 2003. [S7] Wisconsin Pre-1907 Vital Records: Wisconsin, Dodge County Courthouse, Register of Deeds, Juneau, Wisconsin; Marriages Vol 14 #572; researched 02 May 2003. �����Alvin Goeggerle was born on 6 August 1892. He WW I in France. He married Clara Theresa Andorfer, daughter of John Evangelista Arndorfer and Permilla Theresa Marthaler, on 4 June 1923.1 Alvin Goeggerle was manager at Newton Wenz Mens' Clothing Department. He died on 10 July 1972 at Beaver Dam, Dodge County, Wisconsin, at age 79. He was buried at St. Peter's Cemetery, Beaver Dam, Dodge County, Wisconsin. [S45] Unknown volume, SSDI, unknown repository. [S5] Unknown subject entry, unknown record type, Vol. J, page 411; Register of Deeds, Dodge County Courthouse, Juneau, WI; 30 Apr 2003. [S152] Unknown record type, unknown location, unknown record info, Dodge County, Beaver Dam, 2nd Ward, Line No. 13, Family No. 410; Wisconsin State Historical Library, Madison, Wisconsin. [S98] Unknown record type, unknown repository address, Wisconsin, Dodge County, Beaver Dam City, Ward 2, SD# 5, ED# 3, Sheet No. 2, Line No. 86, Dwelling No. 42, Family No. 46; Roll 1706, Book 1, Page 228; Genealogy.com image 01 Apr 2003. [S97] Unknown record type, unknown repository address, Wisconsin, Dodge County, Beaver Dam Township, Beaver Dam City, Ward 2, SD# 2, ED# 30 Sheet 10A, Line 20, Dwelling 200, Family # 212, Ancestry.com 05 May 2003. [S137] Unknown record type, unknown repository address, Wisconsin, Dodge County, Beaver Dam City, ED# 14-9, SD# 9, Sheet 12A, Image 111; Line 29, Dwelling 294, Family 300; Ancestry.com image 15 Mar 2003. [S6] Wisconsin Pre-1907 Vital Records: Dodge County Courthouse; Register of Deeds; Marriages vol 23-17. �����Mildred Roedl was born on 30 March 1905 at Beaver Dam, Dodge County, Wisconsin. She was the daughter of George Roedl and Martha Marshak. Mildred Roedl appeared on the census of 29 April 1910 at 120 Gould Street, Beaver Dam, Dodge County, Wisconsin; ROEDL, Mildred: Daughter; Female, White, Age 5, Single, Born in Wisconsin, Both parents born in Wisconsin; Occupation - None; School = No.1 She was stenographer. She married Roman John Andorfer, son of John Evangelista Arndorfer and Permilla Theresa Marthaler, on 3 February 1940 at St. Peters RC Church, Beaver Dam, Dodge County, Wisconsin.2 As of 3 February 1940,her married name was Andorfer (Roedl). Her Social Security Number was 391-10-8658 before 1951 at Wisconsin.3 Mildred Roedl died on 19 February 1990 at Beaver Dam, Dodge County, Wisconsin, at age 84. [S98] Unknown record type, unknown repository address, Wisconsin, Dodge County, Beaver Dam City, Ward 7; SD# 5, ED# 4, Sheet No. 13B; Line 62, Dwelling 254, Family 294; Ancestry.com image 15 Feb 2004. �����Edward Michael Andorfer was born on 1 November 1903 at Beaver Dam, Dodge County, Wisconsin.1 He was the son of John Evangelista Arndorfer and Permilla Theresa Marthaler. Edward Michael Andorfer was baptized on 22 November 1903 at St. Peter, Beaver Dam, Dodge County, Wisconsin. He appeared on the census of 1 June 1905 at 2nd Ward, Beaver Dam, Dodge County, Wisconsin; ANDOFER, Edward: Son, White, Male, Age 2, Single, Born in Wisconsin, Father born in Germany, Mother born in Wisconsin.2 He appeared on the census of 15 April 1910 at 218 Washington Street, Beaver Dam, Dodge County, Wisconsin; ANDOVER, Edward: Son, Male, White, Age 6, Single, Born in Wisconsin, Father born in Germany, Mother born in Wisconsin, English speaking, Occupation - None, Can read and write, attended school.3 He appeared on the census of 7 January 1920 at 217 Henry Street, Beaver Dam, Dodge County, Wisconsin; ANDOVER, Edward: Son, Male, White, Age 17, Single, School=No, Read and write=Yes, Born in Wisconsin, Father born in Bavaria (German), Mother born in Wisconsin, Occupation - Salesman (Popcorn Stand).4 He married Anna Therese Nebl, daughter of Wendelin Nebl and Anna Udvari, on 26 August 1929 at St. Peters Church, Beaver Dam, Dodge County, Wisconsin. Edward Michael Andorfer owned a grocery store in Beaver Dam until 1957; owner of Andorfer Grocery Store on Center Street in Beaver Dam, Wisconsin. His Social Security Number was 399-30-7356 issued before in 1951 at Wisconsin.1 He died on 31 July 1965 at Beaver Dam, Dodge County, Wisconsin, at age 61; cause of death was cancer of the throat.1,5 He was buried on 3 August 1965 at St. Peters Cemetery, Beaver Dam, Dodge County, Wisconsin. [S152] Unknown record type, unknown location, unknown record info, Dodge County, Beaver Dam, 2nd Ward, Line No. 14, Family No. 410; Wisconsin State Historical Library, Madison, Wisconsin. [S98] Unknown record type, unknown repository address, Wisconsin, Dodge County, Beaver Dam City, Ward 2, SD# 5, ED# 3, Sheet No. 2, Line No. 87, Dwelling No. 42, Family No. 46; Roll 1706, Book 1, Page 228; Genealogy.com image 01 Apr 2003. [S97] Unknown record type, unknown repository address, Wisconsin, Dodge County, Beaver Dam Township, Beaver Dam City, Ward 2, SD# 2, ED# 30 Sheet 10A, Line 21, Dwelling 200, Family # 212, Ancestry.com 05 May 2003. [S5] Unknown subject entry, unknown record type, Vol. N, page 169; Register of Deeds, Dodge County Courthouse, Juneau, WI; 30 Apr 2003. �����Anna Therese Nebl was born on 18 April 1907 at Beaver Dam, Dodge County, Wisconsin.1 She was the daughter of Wendelin Nebl and Anna Udvari. Anna Therese Nebl appeared on the census of 18 April 1910 at 415 Madison Street, Beaver Dam, Dodge County, Wisconsin; NEBL, Anna: Sister-in-law; Female, White, Age 3, Single, Born in Wisconsin, Both parents born in Hungary-Magyar; Occupation - None.2 She married Edward Michael Andorfer, son of John Evangelista Arndorfer and Permilla Theresa Marthaler, on 26 August 1929 at St. Peters Church, Beaver Dam, Dodge County, Wisconsin. As of 26 August 1929,her married name was Andorfer (Nebl). Her Social Security Number was 399-01-0138 before 1951 at Wisconsin.1 Anna Therese Nebl died on 8 October 1978 at Rogers Hospice, Summit, Waukesha County, Wisconsin, at age 71.1 She was buried on 10 October 1978 at St. Peter's Cemetery, Beaver Dam, Dodge County, Wisconsin. [S98] Unknown record type, unknown repository address, Wisconsin, Dodge County, Beaver Dam City (part of), Ward First; SD #5, ED #2, Sheet 6A; Line 36, Dwelling 87, Family 112; Ancestry.com image 16 Feb 2004. �����Clarence Peter Andorfer was born on 18 April 1906 at Beaver Dam, Dodge County, Wisconsin.1 He was the son of John Evangelista Arndorfer and Permilla Theresa Marthaler. Clarence Peter Andorfer was baptized on 6 May 1906 at St. Peter, Beaver Dam, Dodge County, Wisconsin. He Baptism Sp: Peter & Dorothy Daniel on 6 May 1906. He appeared on the census of 15 April 1910 at 218 Washington Street, Beaver Dam, Dodge County, Wisconsin; ANDOVER, Clarence: Son, Male, White, Age 4, Single, Born in Wisconsin, Father born in Germany, Mother born in Wisconsin, English speaking, Occupation - None.2 He appeared on the census of 7 January 1920 at 217 Henry Street, Beaver Dam, Dodge County, Wisconsin; ANDOVER, Clarence: Son, Male, White, Age 13, Single, School=Yes, Read and write=Yes, Born in Wisconsin, Father born in Bavaria (German), Mother born in Wisconsin, Occupation - None.3 He appeared on the census of 21 April 1930 at 206 Norris Street, Beaver Dam, Dodge County, Wisconsin; ANDORFER, Clarence; Son, Male, White, Age 24, Single, School=No, Read and Write=Yes, Born in Wisconsin, Father born in Bavaria, Germany, Mother born in Wisconsin, Occupation-Side Crater Shoe Factory.4 He married Blanche Dollenjack, daughter of Frank Dollenjack and RosIna (Rose) Frank, on 28 January 1933 at St. Peter's Catholic Church, Beaver Dam, Dodge County, Wisconsin.5 Clarence Peter Andorfer died on 7 March 1990 at Beaver Dam, Dodge County, Wisconsin, at age 83.1,6 He was buried after 7 March 1990 at St. Peter's Cemetery, Beaver Dam, Dodge, Wisconsin. [S98] Unknown record type, unknown repository address, Wisconsin, Dodge County, Beaver Dam City, Ward 2, SD# 5, ED# 3, Sheet No. 2, Line No. 88, Dwelling No. 42, Family No. 46; Roll 1706, Book 1, Page 228; Genealogy.com image 01 Apr 2003. [S97] Unknown record type, unknown repository address, Wisconsin, Dodge County, Beaver Dam Township, Beaver Dam City, Ward 2, SD# 2, ED# 30 Sheet 10A, Line 22, Dwelling 200, Family # 212, Ancestry.com 05 May 2003. [S137] Unknown record type, unknown repository address, Wisconsin, Dodge County, Beaver Dam City, ED# 14-9, SD# 9, Sheet 12A, Image 111; Line 30, Dwelling 294, Family 300; Ancestry.com image 15 Mar 2003. [S6] Wisconsin Pre-1907 Vital Records: Dodge County Courthouse; Register of Deeds; Marriages vol 19-90. [S5] Unknown subject entry, unknown record type, Vol. Q, page 551; Register of Deeds, Dodge County Courthouse, Juneau, WI; 30 Apr 2003. [S2] Death - Obituary, Obituary for Blanche V. Andorfer, Daily Citizen, Beaver Dam, WI, 30 Dec 1999, p. 2, col. 1. [S5] Unknown subject entry, unknown record type, Vol. 23, page 60; Register of Deeds, Dodge County Courthouse, Juneau, WI; 30 Apr 2003. [S97] Unknown record type, unknown repository address, Wisconsin, Dodge County, Beaver Dam Township, Beaver Dam City, Ward 2, SD# 2, ED# 30 Sheet 10A, Line 23, Dwelling 200, Family # 212, Ancestry.com 05 May 2003. [S137] Unknown record type, unknown repository address, Wisconsin, Dodge County, Beaver Dam City, ED# 14-9, SD# 9, Sheet 12A, Image 111; Line 31, Dwelling 294, Family 300; Ancestry.com image 15 Mar 2003. [S2] Death - Obituary, Beaver Dam Daily Citizen, Beaver Dam, Wisconsin; Wed. Feb. 12, 2003, p. 2. JANESVILLE-MADISON--Roland W. "Mac" McCool, age 77, of 1 Homewood Circle in Madison, formerly of 2621 Harvard Drive in Janesville, died Fri., Aug., 12, 1994 at Meriter Park Hospital in Madison. He was born in Beaver Dam, WI, on June 12, 1917, the son of William and Walburga (Andorfer) McCool. He married Doris M. Schmidt on April 14, 1951, in Berlin, WI. She died Feb. 9, 1975. He was raised in Hartford and graduated from Hartford High School. He served in the military in World War II, and was a lab technician for Libby's Co. in Hartford, Chicago, and Janesville. He moved to Janesville in 1969; he retired in 1979. His hobbies included photography, stamp and coin collecting, and watching the Cubs lose. Surviving are 5 children: Michael (Deborah) McCool, Mary (Bill) Loomis, Patricia (David) Feldman, Thomas (Page) McCool, all of Janesville, and Susan (Nicholas) Dresen of Madison; 11 grandchildren: Chris and Jenny; Amy, Amber, and Erin; Amanda and John; Lyndsey and Leigha; Sara and Jenna; 2 brothers, Ralph (Sally) McCool of Cleveland, OH, and Raymond (Mary) McCool of Madison. He was preceded in death by his parents, his wife, and 2 brothers, William and Harold. Funeral Mass will be Mon., Aug. 15, at 11:00 a.m. at ST. PATRICK'S CATHOLIC CHURCH, with Fr. John Norder officiating. Burial will be in Mt. Olivet Cemetery in Janesville. Friends may call Sunday from 5:00 until 7:00 p.m. at OVERTON FUNERAL HOME. He was buried on 15 August 1994 at Mt. Olivet Cemetery, Janesville, Rock County, Wisconsin. [S97] Unknown record type, unknown repository address, Wisconsin, Dodge County, Beaver Dam City, Ward 4, SD# 2, ED# 32, Sheet 6B, Line 89, Dwelling 132, Family 140; Ancestry.com image 01 May 2003. �����Doris Schmidt was Beautician. She was born on 13 April 1924 at Berlin, Wisconsin. She married Roland William McCool, son of William Lester McCool and Walburga Dorothy Andorfer, on 14 April 1951 at Berlin, Wisconsin. As of 14 April 1951,her married name was McCool (Schmidt). Doris Schmidt died on 9 February 1975 at Janesville, Rock County, Wisconsin, at age 50. She was buried on 12 February 1975 at Mt. Olivet Cemetery.